A 164-foot wide mote and 33-foot high wall with a perimeter of roughly 2.25 miles encases The Forbidden City in the center of Beijing. It features about 800 buildings and almost 10,000 rooms, over a 7-million square feet area, and houses a myriad of national treasures that provide a glimpse of the development of Chinese culture for more than 500 years. Emperor Zhu Di of the Ming Dynasty ordered the construction of the complex to serve as the Imperial Palace. He was the first of 24 emperors (14 Ming and 10 Qing) who called The Forbidden City, “home.” The original structure took 14 years to build (1406-1420), 200,000 workers and artisans to complete, and features a symmetrical layout, typical of Chinese urban planning of the times. There is a central axis, with residences, courtyards, gardens, public and religious buildings placed in a hierarchical manner. Although stone and brick make up the foundation of the city’s buildings, the structures were meticulously built out of wood. Preserved written and art works, attest to court culture and prevailing law of the Ming and Qing dynasties. The Forbidden City opened to the public as the Palace Museum or the Old Palace in 1925 after the collapse of the Qing Dynasty. Protecting the integrity of the buildings and its contents has remained a priority for the last century. In 1987, UNESCO declared The Forbidden City a ‘World Heritage Site’, for its collection of preserved ancient wood-based structures and priceless relics. The Imperial Palace is visited each year by more than 10-million people. However, some of the areas are currently under renovation in anticipation of the 600th anniversary of the palace, which will take place in 2020. Yu’s New Beijing in Glen Ellyn, IL is happy to share Chinese traditions and history with you. Our restaurant is open 7 days a week for dining in, pick up, or delivery. Visit our website or call us at 630-439-1535 to place your orders. Ping Tom Memorial Park in Chicago’s Chinatown will fill with excitement on Saturday, June 25, 2016, when multitudes will gather to witness the 16th Chicago Chinatown Annual Dragon Boat for Literacy on the Chicago River. Following an ancient tradition dating more than 2000 years, teams intricately decorate their boats to resemble fearless dragons, with a head displaying rows of teeth at the bow, and a magnificent tail at the stern. Legend tells the practice began in China to celebrate the valiant spirit of the great warrior Qu Yuan, who lost his life in the River Mi while protesting against political corruption. The Dragon Boat Festival (Duanwu Jie) falls on the fifth day of the fifth month of the Chinese lunar calendar, which this year in China falls on June 9th. One of the most popular delicacies eaten at the Dragon Boat Festival is “zongzi,” which is a rice dumpling wrapped in bamboo leaves, featuring a variety of fillings (from jujube to bean paste, to meat or eggs) depending on the region. Teams are comprised of 20 people: 18 paddlers, one drummer and one flag catcher, whose job is to get a flag in the water at the finish line. In the Chicago race, teams raise money to help several different literacy groups. The Chicago Chinatown Dragon Boat Festival is free to attend and it is open from 8am to 5pm and features activities for children, food and souvenir vendors, as well as music and performances throughout the day. For more information, visit the Chinatown Chamber of Commerce. Yu’s New Beijing brings Chinese Food made fresh every day to Glen Ellyn and surrounding areas and is proud to share highlights of Chinese culture. 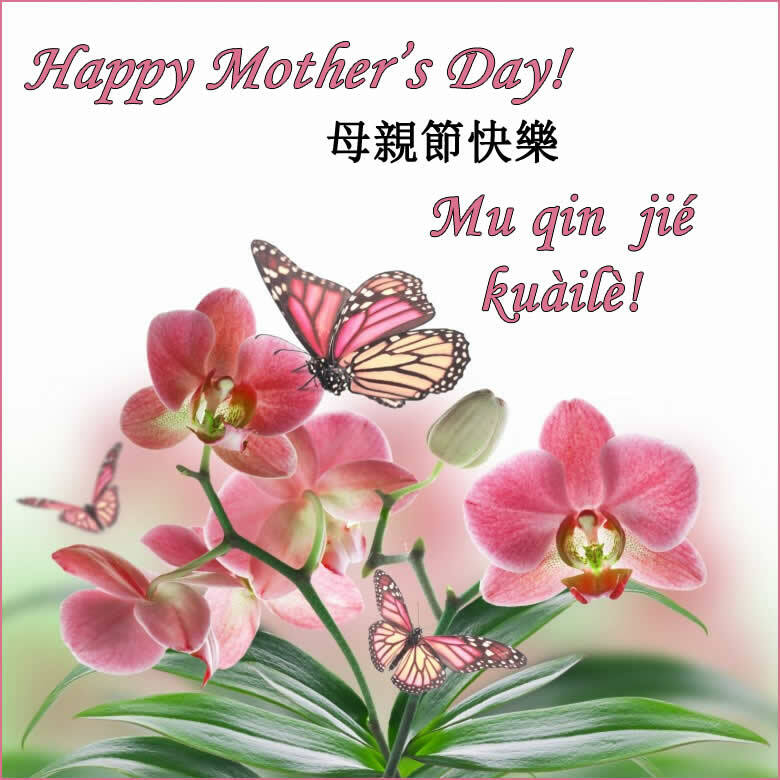 Just as in the United States and many other countries, Mother’s Day in China is typically celebrated on the 2nd Sunday in May–this year, being on Sunday, May 8th. 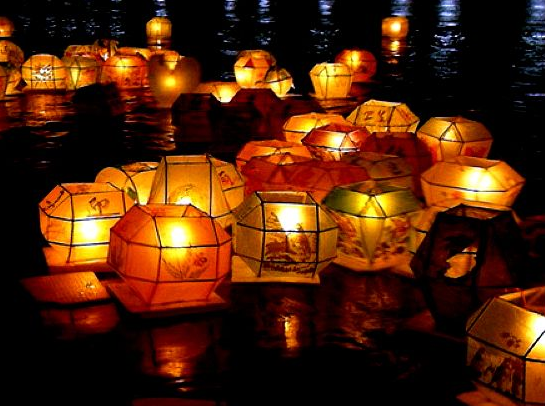 Traditionally, however, the second day of the fourth month of the lunar calendar has been designated for this celebration. The tradition goes back more than 2000 years, and it is said have begun with a celebration of philosopher Mencius’s mother, who despite tragedies and travesties, put her son’s education at the forefront of her life. Mencius became a scholar and his thoughts are consider fundamental in the shaping of Chinese culture. Mencius’s mother is often mentioned as one of the most notable Chinese women. On Sunday, May 8, 2016, we will be open from 11:00am until 9:00pm for dining-in, carry out and delivery. Call to order or make reservations: 630.469.1535. Come into any Chinese restaurant in the U.S. and you will probably find a dish named after General Tso. But, who is he and why are these dishes named after him? 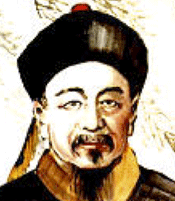 Tso Tsung-t’ang or Zuo Zongtang (左宗棠) was born November 10, 1812 in Wenjialong, Hunan Province, China. Although he came from a poor family, he sought to be in civil service so he set out to take the necessary exams. After several unsuccessful attempts, he returned to his home in Hunan to work as a silkworm farmer. While working on his farm by the Hsiang River, Tso persisted and aimed his personal studies in the direction of western sciences and political economy. At the age of 38, he became an advisor to the Governor of Hunan Province during the Taiping Rebellion. Six years later he was offered an official position in the provincial government of Hunan as Commander of the Xiang (Chu) Army. Along with two other generals, Tso received credit for suppressing the rebellion. This was the beginning of his career in the military. As a reward for his successful campaign, he was appointed Governor of Zhejiang Province in 1863 as well as Undersecretary of War. Later, in 1865, he was elevated to the position of Viceroy and Governor-General of Fujian and Zhejiang. It was while serving in this position that he also became Commissioner of Naval Industries. He is credited with founding the first modern naval academy and shipyard in the city of Fuzhou. Tso not only governed provinces, but because of his early successes in military campaigns, the ruling family called on him to lead the offensives during the Dungan Revolt and the Sino-French War. Although a great general, Tso had never felt comfortable with the politics inherent with the positions to which he was appointed, and so he asked to be relieved of his duties in 1884. He died shortly thereafter. Although General Tso’s career is well documented, his connection to the popular dishes named after him remain a mystery. This dish, as we know it today, was allegedly unknown in China until introduced by Chinese American chefs in the 1970s. However, some speculate its origins to really be Hunanese and based on a simple ancestral chicken recipe. Tweaked to please the American palate, General Tso’s chicken, beef and shrimp are popular American Chinese dishes that have made the name of a cultural hero a common household name. 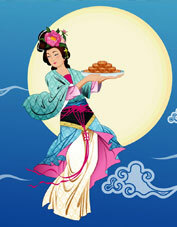 Yu’s New Beijing enjoys sharing fun facts about Chinese culture with you. When we serve General Tso’s dishes, we honor perseverance and dedication, and pay tribute to those who believe in their dreams. Can we prepare some General Tso’s delicacies today for you and your family? We are located at 610 Roosevelt Rd. in Glen Ellyn, IL. Dine in, pick up or have your order delivered. Call 630.469.1535 to place your order. Since 1981, every March 12th, China celebrates “Arbor Day,” a public holiday. Every person, young and old, is encouraged to plant at least one tree on the day and extend their commitment to nature by planting at least four more trees during the year. Over the last several years, the holiday has also turned to one of environmental awareness, given the high level of pollution and poor air quality evident in many large cities throughout China. Arbor Day, sometimes also known as National Tree Planting Day, is celebrated throughout the world, typically on different days. The first ever recorded planting festival was held in the Spanish village of Mondoñedo in 1594, which continues through today. In the United States, National Arbor Day is officially celebrated every year on the last Friday in April. Julius Sterling Morton founded Arbor Day in 1872. On the First Arbor Day, April 10, 1872, over one million trees were planted in Nebraska. There is no question that trees are essential to our existence, since they produce oxygen and remove carbon dioxide from the atmosphere. Let’s continue in our global efforts to plant trees and restore balance to our environment. Happy Arbor Day from Yu’s New Beijing Chinese Restaurant in Carol Stream, IL. In Chinese culture, the most important symbol for a young couple on their wedding day is the Double Happiness Character, stemming from a romantic centuries-old folk story. It is told that a young man was on his way to the Imperial Court for an examination that would give him a government position. On the way, he became ill and was cared for by an herbalist doctor. While he was recovering at the doctor’s home, he fell in love with the doctor’s daughter. When it was time for him to resume his journey she wrote the right half of a couplet for him, asking him to complete it for her to show his love. He told her he would complete it after his examination and went on his way. Upon arriving at the court, the young man enjoyed great success at his examination which culminated with an interview with the Emperor. The Emperor provided him with half of a couplet and asked him to finish it. He realized with great joy that the half of the couplet that his love had given him was the perfect completion to what the Emperor had given him. The Emperor was so pleased with the reply that he made the young man a minister of the Court and gave him leave to go home before starting his duties. The young man immediately returned to the doctor’s daughter and presented her with the completed couplet while telling her the story. Both were overjoyed at his success and their future happiness that they made a double happiness character to be displayed at their wedding. Now all Chinese people want to have the same joy and happiness as this young couple. Typically, on their wedding day, they display the character at eye level for everyone to see. Yu’s Garden Chinese Restaurant wishes you Double Happiness on Valentine’s. We have an All-Inclusive Dine-In Special Available from February 12th through February 14th–our Valentine Day’s Weekend Sweetheart Menu! $29.95 for two includes drinks, soup, appetizers, entrees, and dessert. On February 8, 2016, a new year in the Chinese zodiac calendar will begin: The Year of the Monkey (猴) . All of us at Yu’s New Beijing Chinese Restaurant in Glen Ellyn, Illinois, want to wish you a Happy New Year! In Mainland China and around the world, the festivities will soon to begin! Typically, New Year is a time for people and friends to get together. Many businesses in China close for 15 days, so that employees have a chance to travel back to their hometowns and spend time with their dear ones. The tradition of the red envelope goes back more than two thousands years. In Chinese culture, the color red has always been regarded as the symbol of happiness, energy, and good luck. During the Qin Dynasty, elders would string coins using a red thread, which was said to bring good luck to them by protecting them against evildoers. A legend also tells about a town being terrorized by a demon that harassed children at night and made them sick. A couple with a newborn baby, prayed to the gods for help. Eight fairies were sent to help them and the town folk. The fairies transformed themselves into eight gold coins and hid under the child’s pillow. When the demon approached the child, the shine from the coins spooked him away, to never return to the town. These days, grandparents, parents, relatives and friends, typically give children a red envelope during the New Year celebration, equivalent of blessings, good luck wishes, and prayers for protection against any adversity. From Monday, February 8, 2016, through Friday, February 12th, children under 12 can ask for us for a “Red Envelope,” which we will have ready for them! One per child, per order. People born during a Year of the Monkey (1908, 1920, 1932, 1944, 1956, 1968, 1980, 1992, 2004, 2016) are said to be intelligent, dignified, optimistic, romantic, sociable, quick-witted, confident, agile and curious—among other great qualities. If you are a “Monkey,” enjoy the infographic below. If not, feel free to share it with a “Monkey” you know! Yu’s New Beijing Chinese Restaurant is open seven days a week for dining in, pick up or delivery. Order online, or call 630.469-1535.